Received: August 24, 2017; Revised: November 5, 2017; Accepted: December 18, 2017; Published online: March 31, 2018. For phosphate control, patient education is essential due to the limited clearance of phosphate by dialysis. However, well-designed randomized controlled trials about dietary and phosphate binder education have been scarce. We enrolled maintenance hemodialysis patients and randomized them into an education group (n = 48) or a control group (n = 22). We assessed the patients’ drug compliance and their knowledge about the phosphate binder using a questionnaire. The primary goal was to increase the number of patients who reached a calcium-phosphorus product of lower than 55. In the education group, 36 (75.0%) patients achieved the primary goal, as compared with 16 (72.7%) in the control group (P = 0.430). The education increased the proportion of patients who properly took the phosphate binder (22.9% vs. 3.5%, P = 0.087), but not to statistical significance. Education did not affect the amount of dietary phosphate intake per body weight (education vs. control: −1.18 ± 3.54 vs. −0.88 ± 2.04 mg/kg, P = 0.851). However, the dietary phosphate-to-protein ratio tended to be lower in the education group (−0.64 ± 2.04 vs. 0.65 ± 3.55, P = 0.193). The education on phosphate restriction affected neither the Patient-Generated Subjective Global Assessment score (0.17 ± 4.58 vs. −0.86 ± 3.86, P = 0.363) nor the level of dietary protein intake (−0.03 ± 0.33 vs. −0.09 ± 0.18, P = 0.569). Education did not affect the calcium-phosphate product. Education on the proper timing of phosphate binder intake and the dietary phosphate-to-protein ratio showed marginal efficacy. Hyperphosphatemia is one of the common and serious problems that nephrologists encounter when treating dialysis patients; it is associated with the development of secondary hyperparathyroidism, mineral bone disorder, and vascular stiffening and calcification [1,2]. The exact mechanisms for these issues are unclear, but several studies have reported that serum phosphate stimulates transformation of vascular smooth muscle cells into osteoblasts. Separately, hyperphosphatemia leads to endothelial dysfunction and elevated fibroblast growth factor 23, which contributes to left ventricular hypertrophy, coronary artery disease, and mortality . Therefore, serum phosphate level needs to be maintained in an adequate range. However, only about 50% of dialysis patients maintain their phosphate levels within the target range of between 3.5 mg/dL and 5.5 mg/dL as suggested by the Kidney Disease Outcome Quality Initiative . There are four major ways to manage phosphate level: via dialysis, dietary restriction, oral phosphate binders, and control of hyperparathyroidism. Phosphorous can be partially removed by dialysis; three-times weekly conventional hemodialysis sessions can remove from 300 to 1,200 mg of phosphorous per session [3,5]. Regular Western diets contain 1,500 mg daily phosphorus, equivalent to 10,500 mg per week, so hemodialysis reduces dietary phosphate intake to a net of 6,900 mg per week, reflecting the limited efficacy of phosphate removal by dialysis [1,5]. To solve this imbalance, phosphate binder is commonly used to remove extra phosphorus from the body. However, drug compliance is a key for obtaining any benefit from phosphate binder because, for optimal efficacy, the binder must be taken at the correct time, right after meals. Therefore, education on dietary phosphate restriction and the proper usage of phosphate binder is important. However, excessively stringent dietary restrictions may lead to malnutrition [2,6–9], so education is particularly necessary regarding maintaining good protein intake with less phosphate. The aim of this study was to evaluate the efficacy of education on low-phosphate diet and proper phosphate binder intake. This study was a randomized controlled trial conducted in a single hospital in Korea from July 2015 to October 2015. The Consolidated Standards of Reporting Trials (CONSORT) study flow is shown in Fig. 1. We assessed 81 patients who were in maintenance hemodialysis for eligibility and excluded 11; nine patients did not meet our inclusion criteria, and two refused to participate. We included end-stage renal disease patients who had been receiving dialysis for more than three months and who were older than 18 years of age. Our exclusion criteria were as follows: patients with liver cirrhosis; pregnant women; patients with alimentary tract malabsorption diseases; those with a history of recent alcohol or drug abuse; patients receiving chemotherapy for solid organ tumor; those with a history of mental illness (e.g., major depressive disorder, bipolar disorder, schizophrenia); and those who had difficulty in communicating with a medical team (e.g., due to dementia, mental retardation). We randomized the included patients into an education group (n = 48) and a control group (n = 22) after the patients were enrolled. We used Stata software version 12 (Stata Co., College Station, TX, USA) to generate a random number for each patient and sorted them into three groups; two were intervention groups, and we also randomly allocated patients to one or the other of these by blinded random selection. We shared the randomization results with the dietitian and the team pharmacist so they could provide the education, but the results were concealed from other study investigators. We assessed baseline medical history, nutritional assessment, and drug compliance, with medical history including cause of end-stage renal disease, Charlson Comorbidity Index score, and dialysis vintage. Nutritional assessment entailed Patient Generated Subjective Global Assessment (PG-SGA) score, dietary assessment by three-day recall, handgrip power assessment using a handheld dynamometer (JA-MAR PLUS+; Sammons Preston, Inc., Bolingbrook, IL, USA), triceps skin-fold, mid-arm circumference, and bio-impedance measurements using an Inbody S10 (Inbody, Seoul, Korea). Drug compliance assessment included the Morisky Medication Adherence Scale-8 (MMAS-8) and a questionnaire designed to assess patients’ knowledge regarding proper intake timing of phosphate binder and acknowledgement of phosphate binder. The MMAS-8 was developed to measure adherence to prescribed medications and it has been adequately validated in numerous prior studies [10–12]. For this study, center staff collected monthly results for numerous laboratory tests (i.e., hemoglobin, albumin, total cholesterol, high density lipoprotein cholesterol, low density lipoprotein cholesterol, intact parathyroid hormone, 25-hydroxy vitamin D, calcium, and phosphorus) during the study period. Dietitians and pharmacists gave the education group teaching that followed a standardized protocol. Each of them had an individual meeting with each of the patients in the education group at a separate room prepared for the education or at the bedside during hemodialysis sessions. The education consisted of 30-minute face-to-face education sessions with leaflets. After the education, the short-term (at one month after education) and long-term (at two or three months after education) efficacies were assessed. For short-and long-term findings, we assessed the patients’ laboratory profiles and their MMAS-8, designed drug compliance questionnaire, and PG-SGA scores. To assess the effects of the dietary intervention, we repeated three-day recalls at the short-term assessment one month after the patient education sessions. We obtained informed consent from all participants and the local institutional review boards approved this study (protocol no: AJIRB-MED-SUR-15-147). The study was performed under Declaration of Helsinki guidelines. The primary outcome of this study was to increase the number of patients who achieved a calcium-phosphate product of less than 55. Secondary outcomes of this study were as follows: changes in serum phosphate level, changes in dietary phosphate intake, change in the dietary phosphate-to-protein ratio, change in PG-SGA score, change in MMAS-8 score, improvement of patients’ knowledge about when to take phosphate binder, and change in the prescribed bioequivalent dose of phosphate binder. Data are presented as means with standard deviations for continuous variables and as numbers with percentages for categorical variables. For the cross-sectional comparison, we used independent t tests for the continuous variables or chi-squared tests for the categorical variables as appropriate. Linear mixed models were used for the statistical tests of sequential changes of continuous variables according to the intervention and generalized estimating equations were used for the statistical tests of sequential changes in categorical variables. We used P for the interactions of intervention and temporal changes and considered P < 0.05 to be significant. To determine sample size, we used 40% as the approximate proportion of patients who did not achieve a calcium-phosphate product of less than 55 in the control group and we proposed that the intervention would lead to a 75% reduction (10% uncontrolled calcium-phosphate product in the intervention group). We determined the sample size of 75 using independent two-proportion comparison with 2:1 allocation, 80% power, and 0.05 alpha. We performed all statistical analyses using Stata software version 12. The baseline characteristics of the education group and the usual care control group were similar (Table 1). The mean age of participants was 58.9 ± 15.9 years and 51.4% of the participants were male. Diabetic nephropathy (31.3%) was the most common cause of end-stage renal disease. The mean MMAS-8 score was 6.6 ± 1.5 and the mean PG-SGA score was 6.2 ± 4.4. Mean daily calorie intake was 25.6 ± 6.6 kcal/kg. The mean daily protein intake by body weight was 1.1 ± 0.3 g/kg. The mean daily phosphorus intake by body weight was 15.4 ± 4.8 mg/kg. Demographic data, nutritional status, and drug compliance showed no statistical differences. The primary outcome was the number of patients who reached the goal of a calcium-phosphate product of lower than 55 (Table 2). At the short-term assessment, 36 (75.0%) patients in the education group achieved the primary goal as compared with 16 (72.7%) in the control group (P = 0.430). At the long-term assessment (at two to three months), both the number and proportion of patients who still had a calcium-phosphate product of lower than 55 had decreased minimally to 34 (70.8%) in the education group and 15 (68.2%) in the control group, respectively. Table 3 summarizes the secondary outcomes. For serum phosphate levels, we observed no significant changes. For dietary phosphate intake, both groups showed slightly reduced intakes (P = 0.851). For dietary phosphate-to-protein ratio, the education group showed a lower ratio, but it did not reach statistical significance (P = 0.193). Providing education on phosphate restriction did not affect dietary protein intake (P = 0.569) or PG-SGA score (P = 0.363). The MMAS-8 score improved in the education group (P = 0.445). Education partly increased patients’ knowledge of when to take phosphate binder, although it did not reach statistical significance (22.9% vs. 3.5%, education vs. control, P = 0.087). Additionally, education did not increase patients’ acknowledgement of the phosphate binder (−4.6% vs. 0%, education vs. control, P = 0.698). The weekly bioequivalent phosphate binder dose in the control group changed from 7,415.7 ± 5,697.6 mg/wk to 7,230.1 ± 4,252.6 mg/wk and the dose changed in the education group from 5,481.4 ± 3,685.7 mg/wk to 6,091.5 ± 4,462.0 mg/wk. The weekly bioequivalent dosage did not change significantly between groups (P = 0.415). The primary purpose of this study was to determine how many patients could achieve a calcium-phosphate product of less than 55 through dietary consultation and pharmacological education. After three months, 75.0% of patients in the education group achieved the primary goal as compared with 72.7% of control group. Meta-analyses have investigated the percentages of patients who reached phosphorus levels of less than 5.5 mg/dL after dietary education. Caldeira et al  in their meta-analysis reported that 50% of the education group of analyzed studies attained less than 5.5 mg/dL, whereas none of the controls were able to reach this goal. In the education groups in this meta-analysis, the authors observed a decrease of 0.75 mg/dL in phosphorus levels. In another meta-analysis, all of the included studies except one reported lower serum phosphorus. The changes in phosphorus level ranged from 0.3 to 1.6 mg/dL and eight of the studies achieved a serum phosphorus target of ≤ 5.5 mg/dL after education . We did not observe a declining decrement of the phosphorus level following the intervention in this study, likely because the serum phosphorus was already in the target range before and after the study as compared with in the other studies in which many patients’ phosphorus levels exceeded 5.5 mg/dL before the studies . Total dietary phosphorous intake did not change after the intervention in this study. In other reports, dietary nonadherence in patients undergoing maintenance hemodialysis ranged from 9% to 80.4% [16,17]. It is generally known that hemodialysis patients are less likely to adhere to dietary phosphate restrictions versus other restrictions such as those for sodium or potassium because they are less educated about diet itself and the consequences of hyperphosphatemia [15,18]. However, of note, in the present study, education reduced the dietary phosphate-to-protein ratio and this lower ratio is important because high ratios are related with increased mortality . Low ratios are also important because they indicate that the patients maintained their overall nutritional statuses and dietary protein intake even though they reduced their phosphate intake. Therefore, information on the phosphate-to-protein ratios in different foods should be a mainstay of education  so that patients can identify foods that have high protein but low phosphorus content . In the absence of specific foods, education should focus on reducing processed foods, which contain inorganic phosphorus. In a previous report, 46% of hemodialysis patients did not know that preservatives that contain phosphate are added extensively to processed foods and only 25% of patients were aware of the presence of phosphate in soda . In a previous study, dietitian-led education reduced consumption of phosphorus-containing food additives , while another study showed that reducing the intake of processed food was one of the most effective ways of controlling hyperphosphatemia . Education in this study increased patients’ knowledge of when to take phosphate binder, although the increase was not statistically significant. Notably, the absolute percentage of patients who showed better knowledge after education was higher in the education group. However, as Reddy et al  and Elliott et al  found, improving patient knowledge did not lead to actual changes in mean serum phosphate levels. In a study that investigated patients’ pill-taking habits, only 50% of the patients took phosphate binders correctly . Separately, because there is a high demand for more information about phosphate binders , proper education should be provided to those who need and want it. Pharmacologic education did not change the MMAS-8 score. Poor adherence to phosphate binder use and dietary restrictions is relatively common among maintenance hemodialysis patients . Several studies revealed that overall medication nonadherence in these patients ranges from 9.7% to 49.5% and that as many as 87% of patients have reported not adhering to their phosphate binder prescriptions [16,17]. Many factors cause this poor adherence. Patients’ ethnic backgrounds, education levels, subjective health statuses, and beliefs about whether they even need the phosphate binder, along with the complexity of some patients’ pharmaceutical regimens, influence their adherence [6,18]. Separately, hemodialysis patients face large pill burdens that primarily comprise phosphate binders. The median number of pills per day for hemodialysis patients in the United States is 19 and phosphate binders account for nearly half of that daily burden . Another cause is forgetfulness; in another study, 64% of survey respondents did not take their pills as prescribed because they forgot, while 35% did not do so because of financial issues . Some reasons for poor adherence can be modified through education, but some cannot. There are several limitations in this study. First, our study was small and designed to detect a 75% reduction in the number of patients with a calcium-phosphate product of more than 55, which we did not achieve. Second, because we conducted our investigation in a single hemodialysis unit, information might have been transferred between the two groups, which might have reduced the differences between the educated and non-educated groups. Third, food labels in Korea lack information on phosphate content, which might hinder the efficacy of phosphate restriction education. Fourth, the intervention group was offered education only a single time and, finally, we assessed nutritional status based on dietary recall, which could have underestimated actual intake and inevitably has a wide range of variability . In the present study, education did not improve calcium-phosphate product. However, education partly corrected proper timing of phosphate binder intake and partly lowered the phosphate-to-protein ratio from dietary intake, in spite of statistical insignificance. These findings imply the importance of continuous and individualized educational efforts to reduce serum phosphorus levels. Permission to use the MMAS scales is required. Reproduction and distribution of the MMAS is protected by US copyright laws. A license agreement to use the scale is available from Donald E. Morisky, ScD, ScM, MSPH, Professor, Department of Community Health Sciences, UCLA School of Public Health, 650 Charles E. Young Drive South, Los Angeles, CA 90095-1772, dmorisky@ucla.edu. Fig. 1. GEE, generalized estimating equation. Kt/V, volume of plasma cleared of urea divided by the urea distribution volume; MMAS-8, Morisky Medication Adherence Scale-8; nPCR, normalized protein catabolic rate; PG-SGA, Patient-Generated Subjective Global Assessment. *Bioequivalent mg of calcium acetate. MMAS-8, Morisky Medication Adherence Scale-8; PG-SGA, Patient-Generated Subjective Global Assessment. Kalantar-Zadeh, K (2013). Patient education for phosphorus management in chronic kidney disease. Patient Prefer Adherence. 7, 379-390. Noori, N, Kalantar-Zadeh, K, Kovesdy, CP, Bross, R, Benner, D, and Kopple, JD (2010). Association of dietary phosphorus intake and phosphorus to protein ratio with mortality in hemodialysis patients. Clin J Am Soc Nephrol. 5, 683-692. Waheed, AA, Pedraza, F, Lenz, O, and Isakova, T (2013). Phosphate control in end-stage renal disease: barriers and opportunities. Nephrol Dial Transplant. 28, 2961-2968. Eknoyan, G, Levin, A, and Levin, NW (2003). Bone metabolism and disease in chronic kidney disease. Am J Kidney Dis. 42, 1-201. Coladonato, JA (2005). Control of hyperphosphatemia among patients with ESRD. J Am Soc Nephrol. 16, S107-S114. Fouque, D, Horne, R, Cozzolino, M, and Kalantar-Zadeh, K (2014). Balancing nutrition and serum phosphorus in maintenance dialysis. Am J Kidney Dis. 64, 143-150. Lynch, KE, Lynch, R, Curhan, GC, and Brunelli, SM (2011). Prescribed dietary phosphate restriction and survival among hemodialysis patients. Clin J Am Soc Nephrol. 6, 620-629. Shinaberger, CS, Greenland, S, and Kopple, JD (2008). Is controlling phosphorus by decreasing dietary protein intake beneficial or harmful in persons with chronic kidney disease?. Am J Clin Nutr. 88, 1511-1518. Karavetian, M, Elzein, H, Rizk, R, Jibai, R, and de Vries, N (2016). Nutritional education for management of osteodystrophy: Impact on serum phosphorus, quality of life, and malnutrition. Hemodial Int. 20, 432-440. Morisky, DE, and DiMatteo, MR (2011). Improving the measurement of self-reported medication nonadherence: response to authors. J Clin Epidemiol. 64, 255-257. Krousel-Wood, M, Islam, T, Webber, LS, Re, RN, Morisky, DE, and Muntner, P (2009). New medication adherence scale versus pharmacy fill rates in seniors with hypertension. Am J Manag Care. 15, 59-66. Morisky, DE, Ang, A, Krousel-Wood, M, and Ward, HJ (2008). Predictive validity of a medication adherence measure in an outpatient setting. J Clin Hypertens (Greenwich). 10, 348-354. Caldeira, D, Amaral, T, David, C, and Sampaio, C (2011). Educational strategies to reduce serum phosphorus in hyperphosphatemic patients with chronic kidney disease: systematic review with meta-analysis. J Ren Nutr. 21, 285-294. Karavetian, M, de Vries, N, Rizk, R, and Elzein, H (2014). Dietary educational interventions for management of hyperphosphatemia in hemodialysis patients: a systematic review and meta-analysis. Nutr Rev. 72, 471-482. Reddy, V, Symes, F, and Sethi, N (2009). Dietitian-led education program to improve phosphate control in a single-center hemodialysis population. J Ren Nutr. 19, 314-320. Collinson, A, McMullan, M, Tse, WY, and Sadler, H (2014). Managing serum phosphate in haemodialysis patients: time for an innovative approach?. Eur J Clin Nutr. 68, 392-396. Shi, Y, Zhao, Y, Liu, J, Hou, Y, and Zhao, Y (2014). 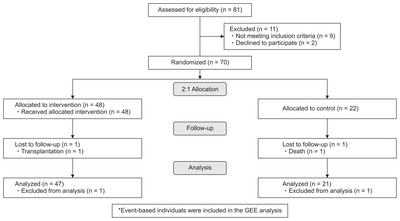 Educational intervention for metabolic bone disease in patients with chronic kidney disease: a systematic review and meta-analysis. J Ren Nutr. 24, 371-384. Elliott, JO, Ortman, C, Almaani, S, Lee, YH, and Jordan, K (2015). Understanding the associations between modifying factors, individual health beliefs, and hemodialysis patients’ adherence to a low-phosphorus diet. J Ren Nutr. 25, 111-120. Streja, E, Lau, WL, and Goldstein, L (2013). Hyperphosphatemia is a combined function of high serum PTH and high dietary protein intake in dialysis patients. Kidney Int Suppl (2011). 3, 462-468. Shutto, Y, Shimada, M, and Kitajima, M (2013). Inadequate awareness among chronic kidney disease patients regarding food and drinks containing artificially added phosphate. PLoS One. 8, e78660. Tsai, WC, Yang, JY, and Luan, CC (2016). Additional benefit of dietitian involvement in dialysis staffs-led diet education on uncontrolled hyperphosphatemia in hemodialysis patients. Clin Exp Nephrol. 20, 815-821. Parham, R, Riley, S, Hutchinson, A, and Horne, R (2009). Patients’ satisfaction with information about phosphate-binding medication. J Ren Care. 35, 86-93. Wang, S, Alfieri, T, Ramakrishnan, K, Braunhofer, P, and Newsome, BA (2014). Serum phosphorus levels and pill burden are inversely associated with adherence in patients on hemodialysis. Nephrol Dial Transplant. 29, 2092-2099.